On Thursday afternoon, unbeaten, two-division world champion Rances Barthelemy hosted a media workout inside of City Boxing Club in Las Vegas, Nev. Barthelemy will be facing off with Kiryl Relikh for the vacant WBA junior welterweight championship from the Freeman Coliseum in San Antonio on March 10 on SHOWTIME in a Premier Boxing Champions event. The main event that evening will be another clash in the junior welterweight division, as Mikey Garcia faces off with IBF junior welterweight champion Sergey Lipinets. It goes without saying that Barthelemy will be eyeing that contest, so there is a lot on the line for him. Speaking to the media, Barthelemy discussed his reason for taking on Relikh once again. The two men fought to a close contest in May of 2017, with many watching having debating thoughts as to who really should have won. 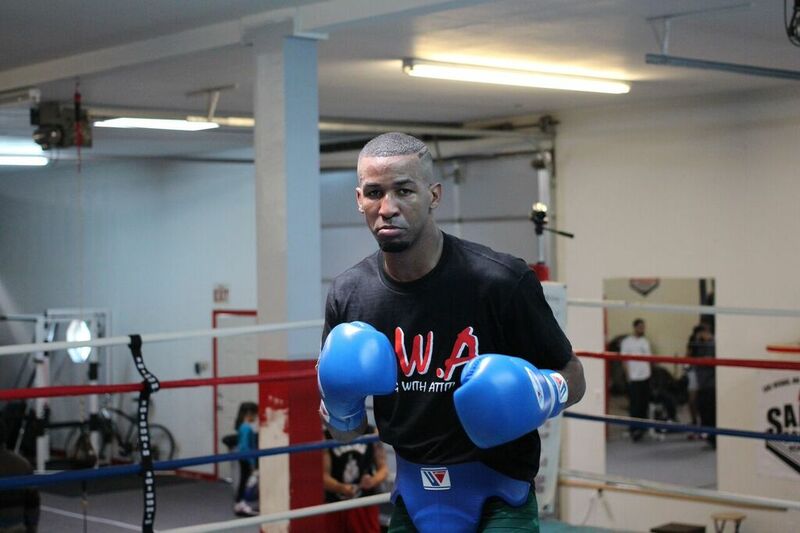 “It’s in my character to take this rematch immediately,” stated Barthelemy, who trains under the guidance of esteemed Cuban trainer Ismael Salas and legendary Cuban champion and trainer Joel Casamayor. Cuba is rich with tradition, from its plethora of former champions who laid the groundwork, to such fighters today like Barthelemy and his brother Leduan, to junior middleweight champion Erislandy Lara, former interim WBA heavyweight champion Luis Ortiz (who faces Deontay Wilder on March 4), and former junior featherweight champion Guillermo Rigondeaux, amongst others. Barthelemy knows fully well what it means to be part of such history. Garcia vs. Lipinets is a clash that will surely have everyone on the edge of their seats, and Rances admits that he would love to face off with Garcia one day. It’s hard maintaining a perfect, well-balanced training camp, and Barthelemy knows that some changes were in order for this particular camp. “I’m going to change a lot heading into the rematch,” said Barthelemy. “Last May I wasn’t myself. I didn’t feel like I had my legs coming into the fight and I wasn’t able to perform how I usually do. This time my conditioning and nutrition is much improved. I’m going to use my legs and use my jab and put on a boxing clinic. Surely, come March 10 we’ll see what Barthelemy is all about.